Our products keep a stable temperature through out the unit, even under heavy use. The design of our products is one of our top priorities. anti-rust coating on the exterior, and a modern appearance. Our refrigerator doors are unique compared to other display refrigerators. We use a double pane glass system with a layer of patented, transparent, thermal insulating film applied between the two glass layers. Our two-pane system offers a superior insulation without the heavy weight of a triple pane system. 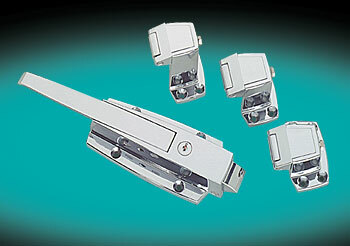 Less weight means less door roller wear, less overall door maintenance, and easy door operation. Our products are engineered with maintenance in mind. 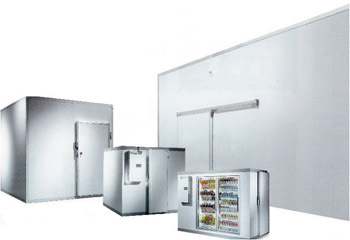 All refrigeration systems are on slide out rails to make maintenance and service easier. Our internal systems are positioned for easy access and repair. Strategically placed, safely shielded, fluorescent light ensures that all of your flowers will be adequately illuminated for maximum display effect. 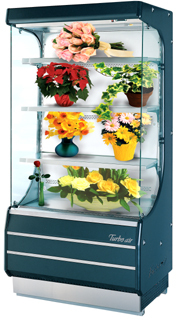 Snowhite's Floral Cases keep your flowers fresh without costing you a fortune in electricity. up to a quicker pull-down time, less compressor run time, and greater savings on electricity! 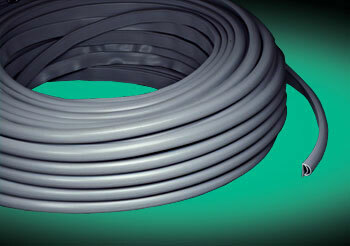 specially treated and layered with a non-corrosive coating.